Now that the holiday season is here, you’re probably already stressing about crossing that last person off your shopping list or planning the perfect dinner for an upcoming party. Many people can find that the holiday season is so stressful, it causes them to neglect their own health, leading to an increased risk of illness when combined with colder winter temperatures. If you’ve been considering switching your primary care doctor in Doylestown to one who provides concierge services, now is an excellent time to get in touch with Dr. Luciano. 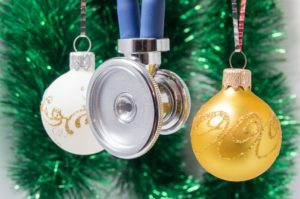 Here are just three of the many ways that concierge medicine can help you stress less during the holidays. Less waiting. Sick of waiting days or even weeks to get an appointment with your family medicine doctor in Doylestown? Dr. Luciano offers same-day appointments to his concierge medical patients, so you can spend less time waiting and more time with friends and family. Longer appointments. When visiting traditional medical practices, it can seem like you’re a number instead of a patient, and that the doctor wants to rush you out so he or she can move on to the next patient on their list. At Dr. Luciano’s practice, appointments can be 45 minutes to one hour long so you can get all of your concerns addressed. Off-hour access to medical advice. During the holidays, you’re busy running back and forth all over town. If you have just a quick question, don’t waste time going all the way to your doctor’s office. Dr. Luciano offers residents unlimited access to professional medical advice via Skype, text or a phone call so you can get back to your life. Now is the perfect time to learn more about the benefits of starting your year right by switching to concierge family medicine office. Call Dr. Luciano’s office today at (215) 515-8242 to get started!